This 36" restaurant range by Garland features 6 sealed burners and 1 standard oven, providing everything you need to prepare excellent meals in one place. The stainless steel exterior of this 6 sealed burner restaurant range is simple to clean and damage resistant. The 1 large, full size oven features a porcelain interior finish. The removable, 4 position rack guides of this 1 oven restaurant range feature 1 oven rack. The electro-mechanical heavy duty oven thermostat provides the user with precision baking. The 6 tubular heating elements are infinite switch controlled. The cool touch oven door handle makes operation safe and comfortable for the user. A 10" high stainless steel backguard is featured on this 36" restaurant range and has a slotted black enameled angled cap. 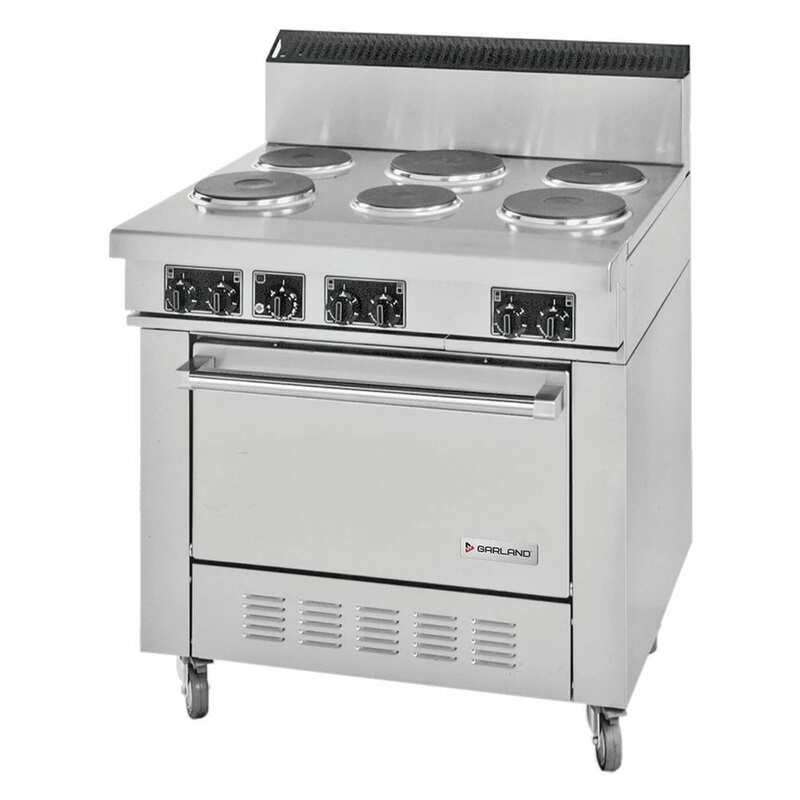 The 6" high adjustable stainless steel legs allow you to blend this 34" restaurant range into your existing cookline. The 6 sealed, high performance elements have overheat protection for safety. 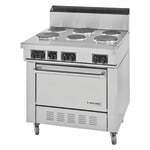 Garland assures the quality of this 36" restaurant range with a 1 year limited parts and labor warranty!